The light that shines from the facets of this genuine citrine gemstone cross pendant from Apples of Gold Jewelry is symbolic of the light of Creation which God spoke into creation by His Word. 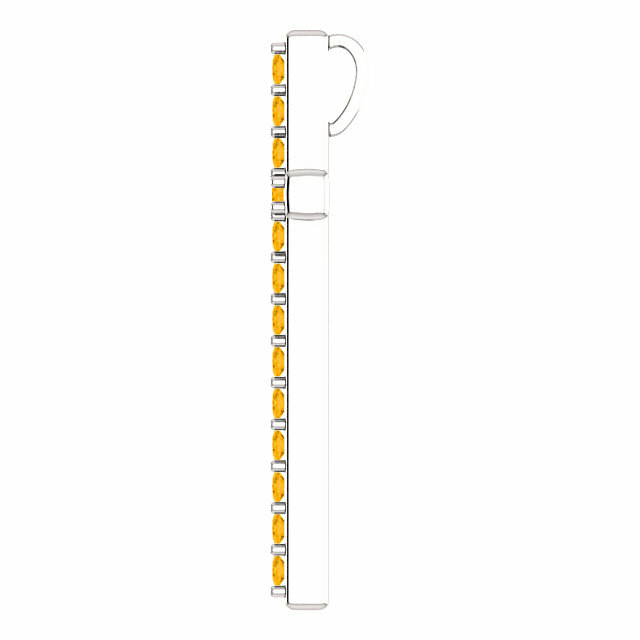 "And God said, Let there be light: and there was light" (Genesis 1:3). That is the inspiration for our jewelry. 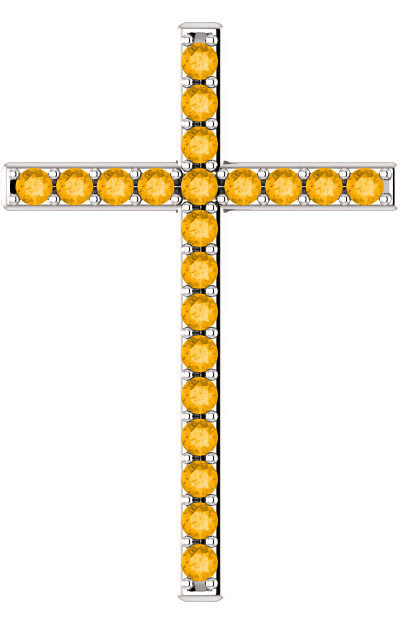 The cross is set with 21 "AA" rated authentic citrine gemstones and available in your choice of 10k, 14k, or 18k white gold or platinum (please allow 7 extra days for platinum). The pendant measures 1.25" tall x 0.85" wide and includes a hidden bale/hoop combination behind the cross which is concealed when worn, so that it does not detract from the simply beauty and aesthetics of the citrine cross pendant. You can add a matching white gold cable chain in 18" or 20" or wear the cross with any chain of your choice. 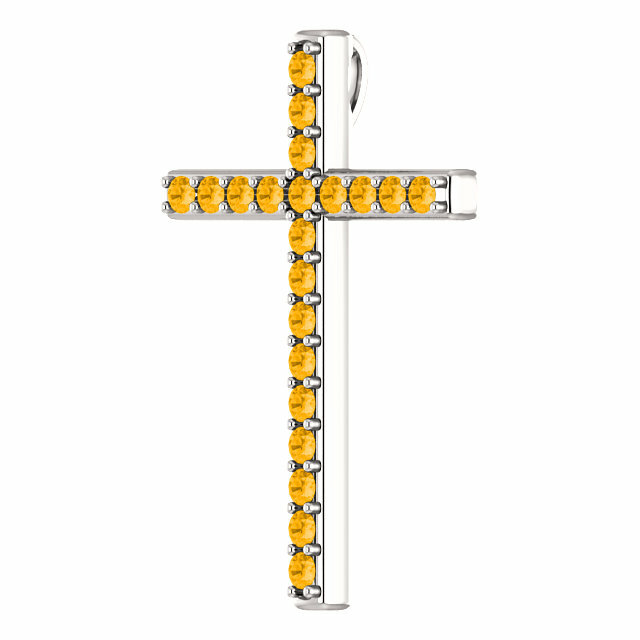 We guarantee our Let There Be Light Citrine Cross Pendant in White Gold to be high quality, authentic jewelry, as described above.